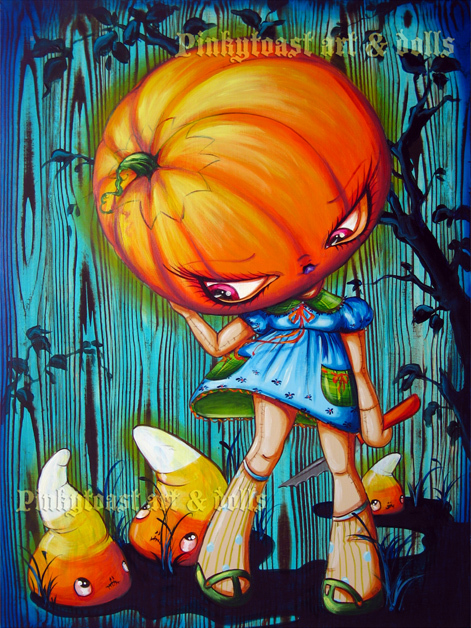 Watch out candy corns, the pumpkin-head girl has a knife! One of my favorite artist! She goes by the name of Pinkytoast. Find her art on ebay and enjoy the unique and unusual paintings. This one is just perfect for Halloween.